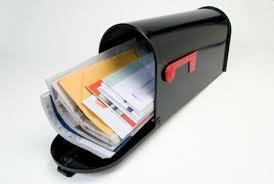 At Dakota Campaign Store, we have over twenty years’ experience in producing direct mail pieces for clients. For years, we’ve put the hard work in licking envelopes and sorting by zip code. And you know what? After all of those years doing it by hand, we’ve learned how to do it the easy way through automation and list management. 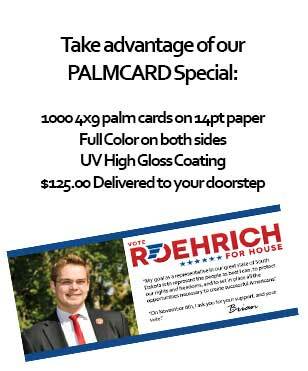 Direct mail is vital to every political campaign. With a mail piece, you can display what really matters to voters. It is more personal than a more broad marketing strategy like TV or Radio. You can display the candidate’s true values and commitments with a well-designed postcard or brochure. Any and all political campaigns should be using direct mail services. This may be the most important part of your Political Campaign and may very well determine whether you win your election or not. Why risk losing your political campaign just because you didn’t advertise through direct mail? And more importantly, let Dakota Campaign Store Printing & Mailing take care of your mailing for you – the Right Way! With over 2 decades of experience using direct mail, we can help you gain those valuable votes that could make the difference. Contact us today before it’s too late! Call Pat Powers today at (605) 690-6853 or e-mail pat@dakotacampaignstore.com for pricing, more information, and to place your order today.